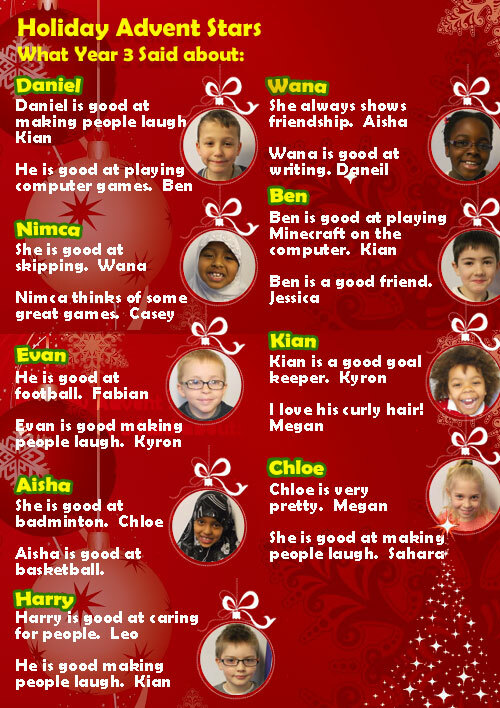 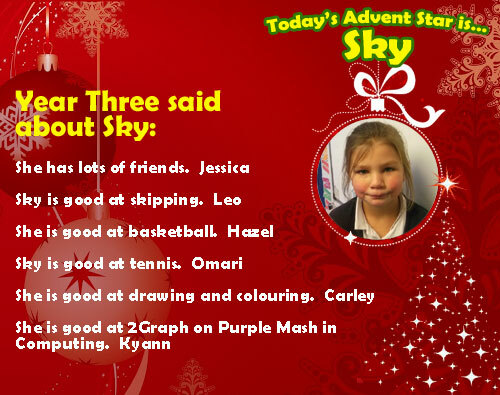 Our Holiday Advent Stars are…. 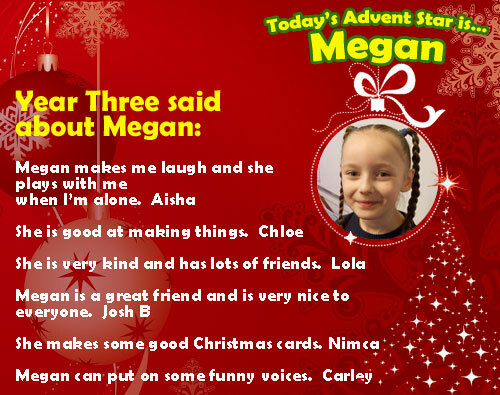 Today’s Advent Star is… Megan! 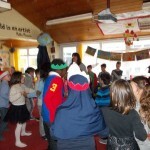 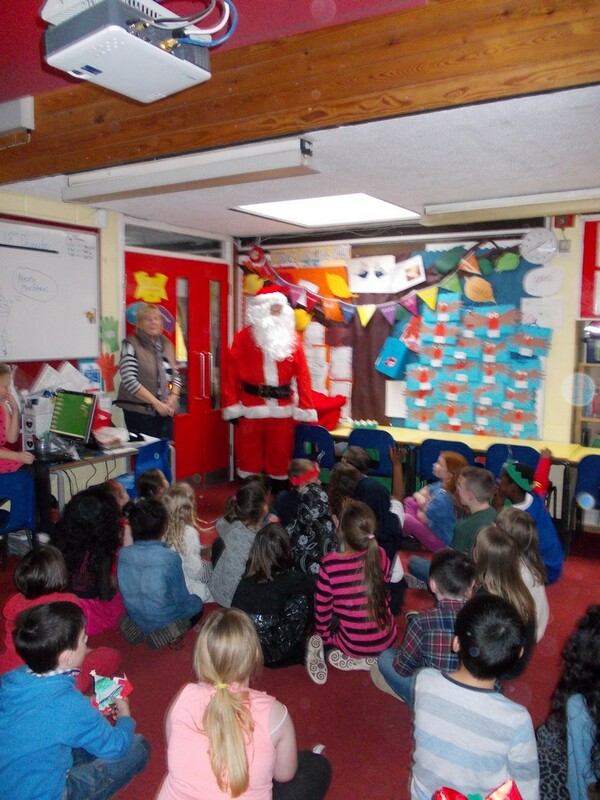 We really enjoyed our Christmas party this afternoon. 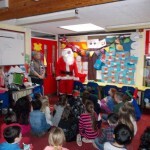 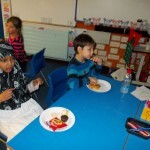 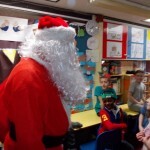 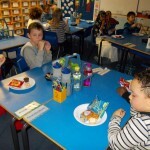 We did lots of dancing with Year 4, ate our delicious party food and particularly enjoyed our visit from Father Christmas. 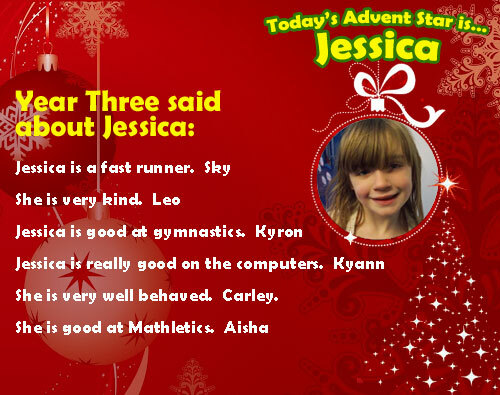 Today’s Advent Star is… Jessica! 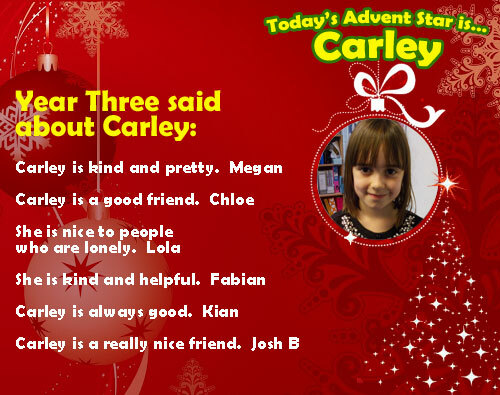 Wednesday’s Advent Star was… Carley! 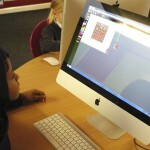 This afternoon Year 3 spent the afternoon with Mr Baddhan learning how to create games. 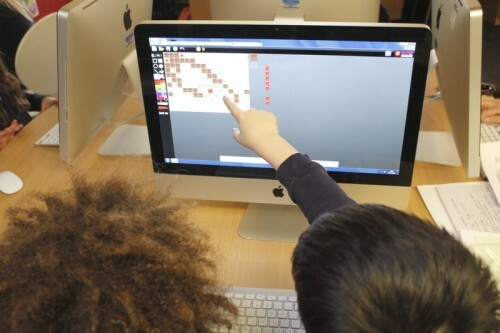 They were told that making games is more than just getting creative, the game must be planned with very clear instructions for the user. 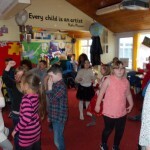 The children thought about their games and put instructions together. 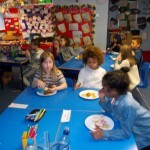 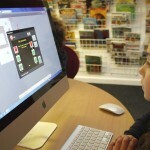 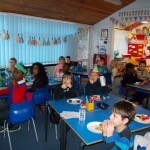 Once the children were ready, they were able to get on with making their games in Purple Mash. 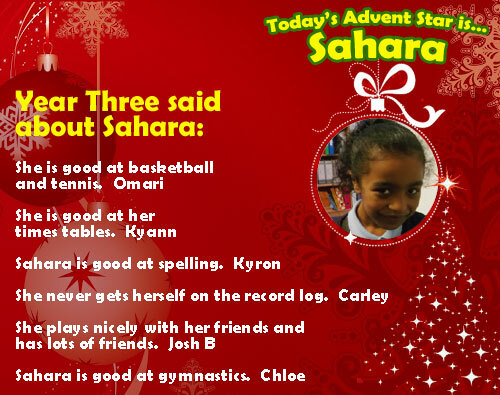 Today’s Advent Star is… Sahara! 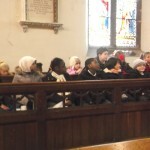 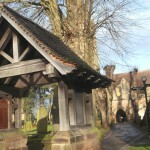 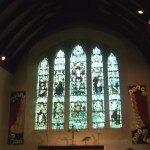 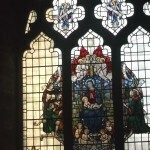 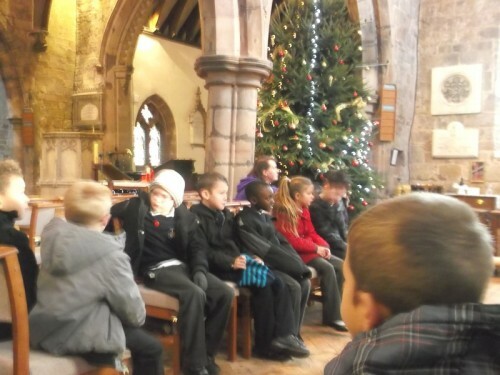 This morning we had a lovely visit to St Nicholas’ Church in Kings Norton. We learned a lot about the Christian traditions associated with Christmas. 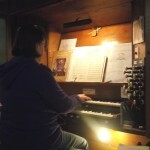 We enjoyed listening to Sylvia play the organ and impressed her with our singing of Christmas carols! 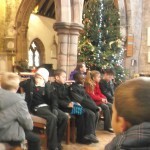 Can you remember the answer to these questions? 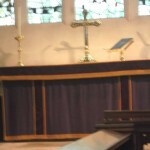 Why do people decorate the church in purple at Advent? 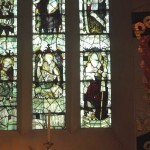 What happened in the Christmas Story? 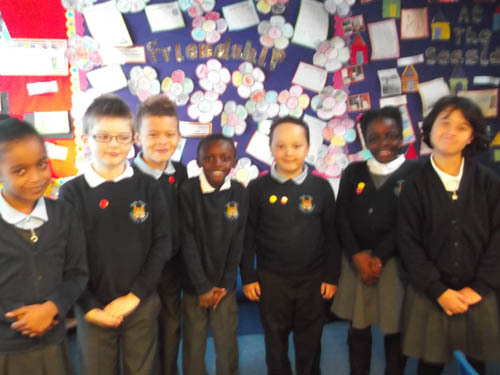 Well done to Harry, Omari, Kyron, Wana, Fabian, Elizabeth and Sahara who got all of their spelling right in the half termly test today.